The Otford Western Rufous Turtle Dove has been nagging at me for a number of days. 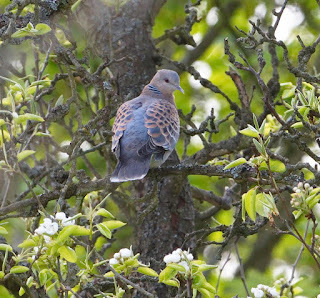 This Turtle Dove of Asian background has been popping up in the trees of a suburban garden near Sevenoaks in Kent since February but try as I might I have struggled to garner the enthusiasm to twitch it. Much of the reluctance is due to a current personal aversion to twitching. It has dawned on me I've never really enjoyed it that much, despite a craving to see new birds. What I don't like is driving for hours, standing around for even more hours and possibly ending the day having seen stuff all. Apart from anything else, it is stressful and sends me home in a bad mood. Birding should be fun. 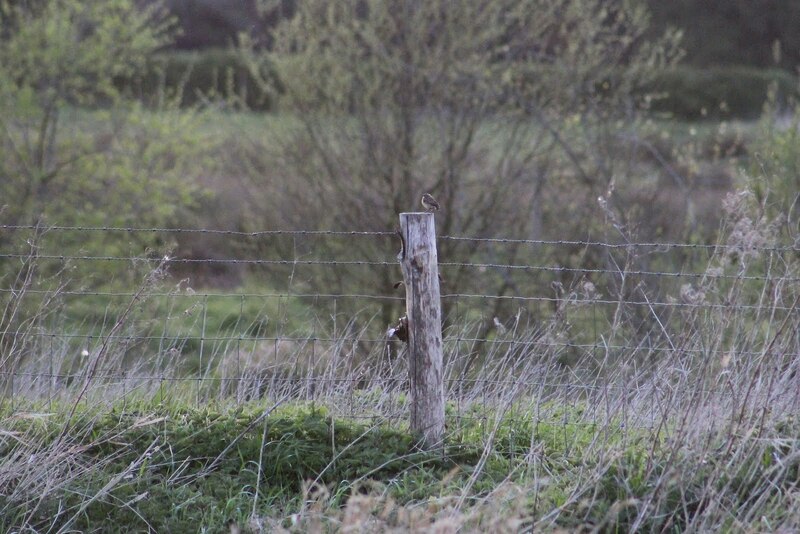 And my birding this year, on the whole, has been fun. I haven't seen many new species since the turn of the year – actually, I've only seen one, and that was the Hooded Crow at Swale on Sheppey in February – but patch birding has been a joy, especially these past few weeks. 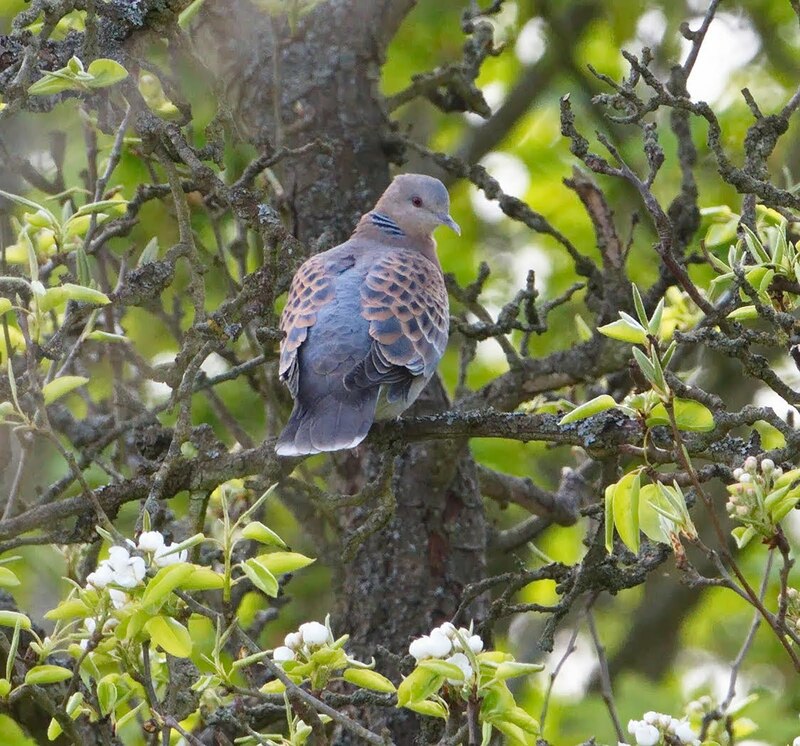 What I like about it, particularly at this time of year, is that it doesn't matter if you don't see anything mega rare like an Oriental Turtle Dove, because what you do see can often be interesting. 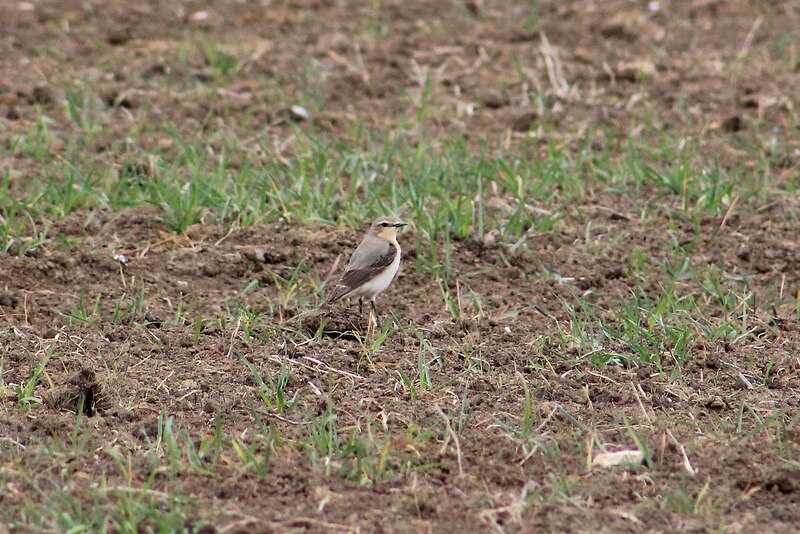 In recent days I have seen a pair of Little Ringed Plover, a female Whinchat (late on Monday evening), the odd Wheatear, as well as plenty of common warblers, and hirundines. This morning, with the sun giving a first impression of summer, the lagoons at Water Colour were full of life, with at least five Reed Warbler chattering away in the reeds and a Lesser Whitethroat rattling its song in the distance. Swifts dipped their beaks in the water, and House Martins dropped on to the ever-emerging Water Colour2 island to collect mud. Anyway, back to the Oriental Turtle Dove. It is currently perched just half an hour down the road, just off the M25. I thought about going on Sunday, but the bank holiday traffic was horrendous – so, on whim, I went on Tuesday night. As twitches go it wasn't too bad. 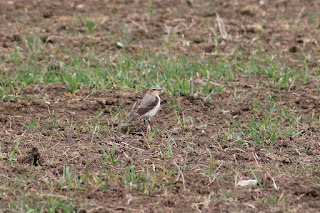 At least there was little walking involved and the bird appeared after about half an hour. 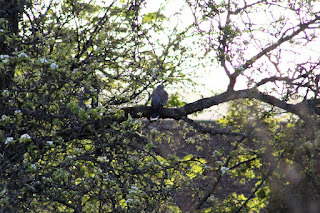 The dove's current home is in a pleasant, affluent suburban avenue, although to get the best view on Tuesday evening you had to position yourself immediately in front of someone's house and peer over the roof towards their back garden. 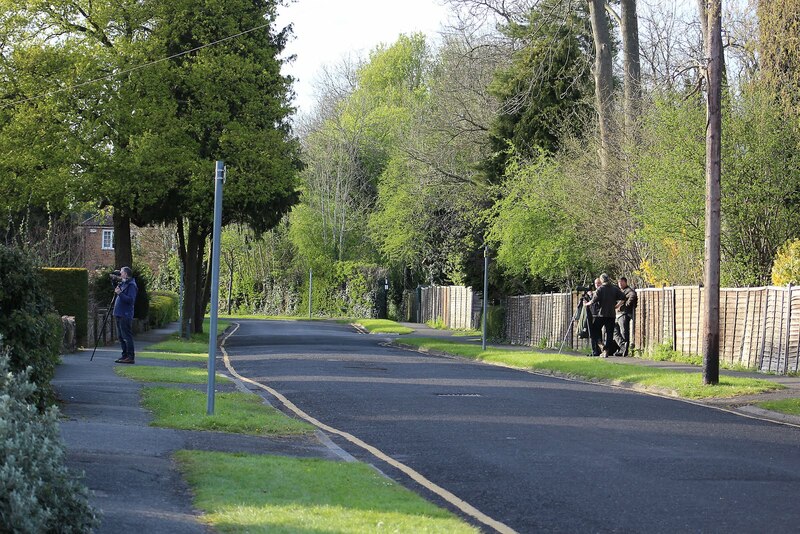 I can't say I felt particularly comfortable doing that as, well, if someone did that outside my house I would find it a bit odd and a tad disquieting, especially if I happened to be someone who didn't appreciate the subject matter. As it turns out, the people of Butts Lane in Otford are all very friendly, even if they find us birders a bit strange, and even have been known to make cups of tea for the gathering throngs. Also yesterday it helped the birding company was good. It was great to catch up with Jonathan Nasir for the first time since the Greater Yellowlegs twitch at Titchfield last year. 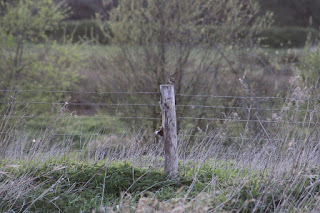 Also Paul Rowe was there and a few other birders I met for the first time. A group of us were panning the trees at the southern end of the lane when one of the visiting birders beckoned us to the front of this house. 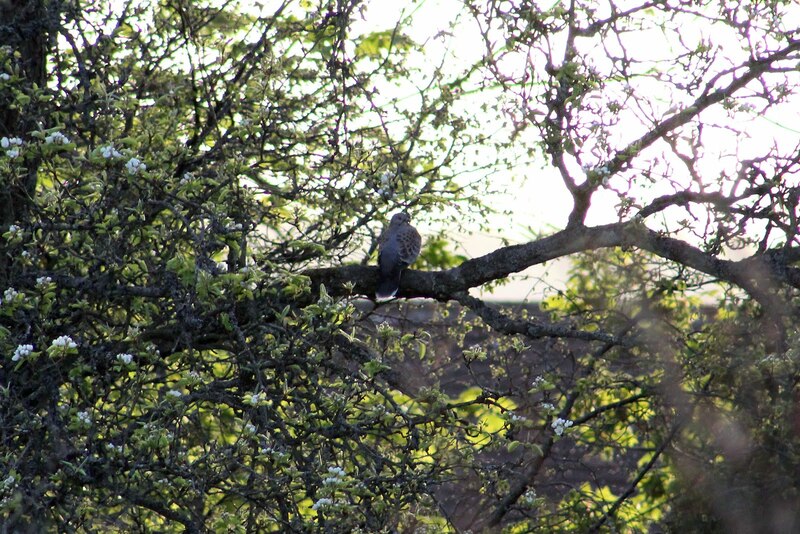 The Western Rufous Turtle Dove was perched in an apple tree, with the sun dropping low behind it. A nice bird perched on a branch. My images were poor (see above) but Paul Rowe very kindly allowed me to use one of his excellent photos (see below). So that was that. Now back to the patch.